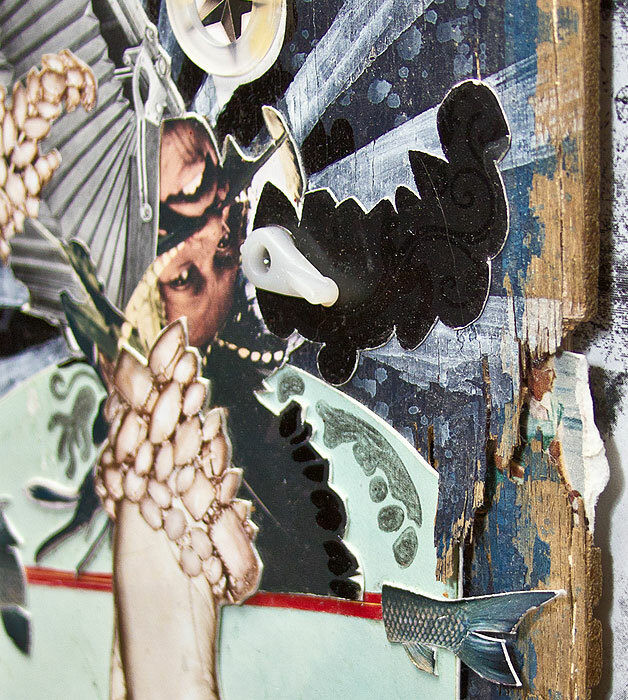 This piece incorporates found objects from the streets of Milwaukee, painting and magazine clippings. 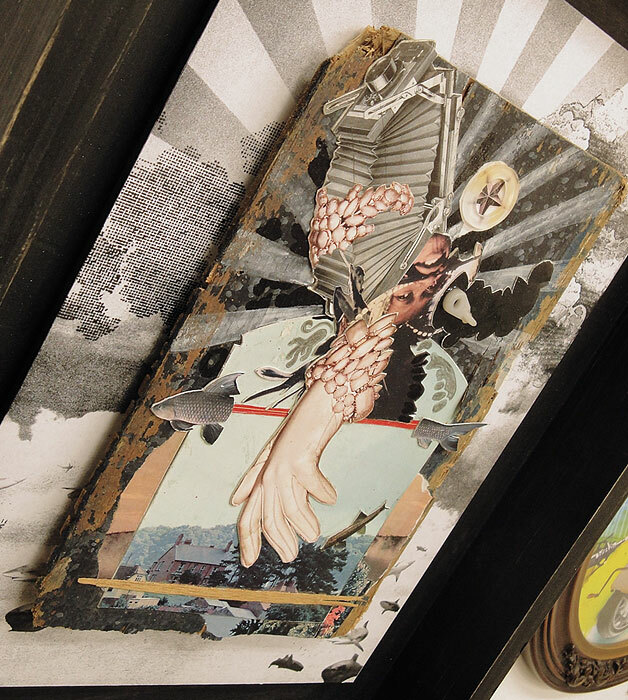 The mixed media collage is done on wood then mounted to a black and white print. 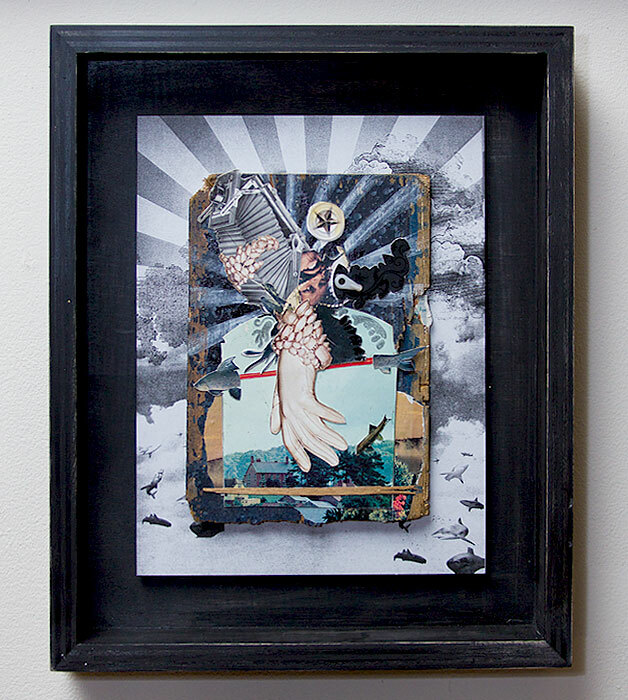 Framed shadow box style in a hand made, distressed black stained, wood frame. 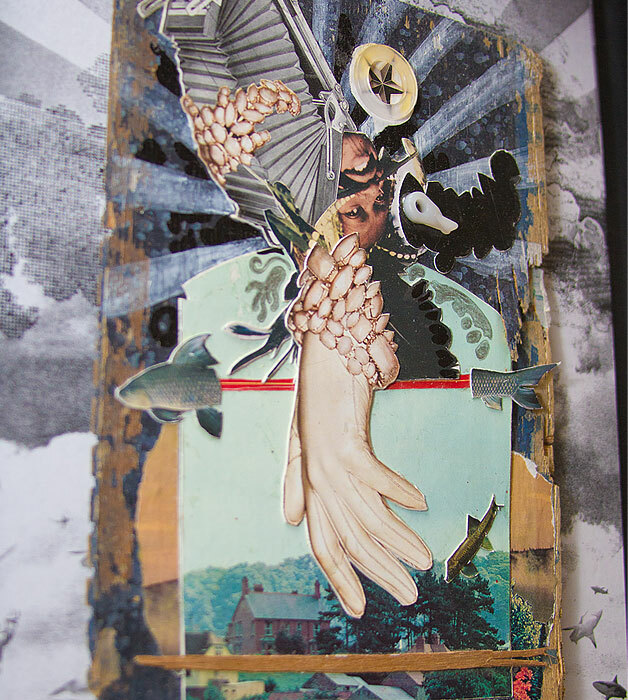 Original mixed media collage framed 14″ x 16.75″.